Chemical company Lanxess is expanding to Turkey with a new subsidiary � Kimya Ticaret. The company said that the country�s geographical location between east and west is an important growth driver for the company. 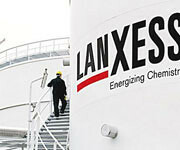 Lanxess generated sales in Turkey in 2011 of some EUR125 million, nearly triple the amount achieved in 2009. And the company anticipates that the Turkish economy will grow between 4% to 5% a year between 2013 and 2016, faster than western Europe. Automotive is one of the most important sectors in Turkey, expected to grow by 8.5% in 2013 and then 3.5% per year from 2014 to 2016, says Lanxess. Construction, with expected growth rates of 4% to 5%, is also an area of focus.